Adding to the sweetness of this ancient design is that the glorious masonry that enhances the sweetness of this party wear bangle manifold. The bangle is accessible solely in a very single commonplace size. The magnificent minakari work that adorns this twisted bangle designed to impress anyone and everyone, is simply awe-inspiring. 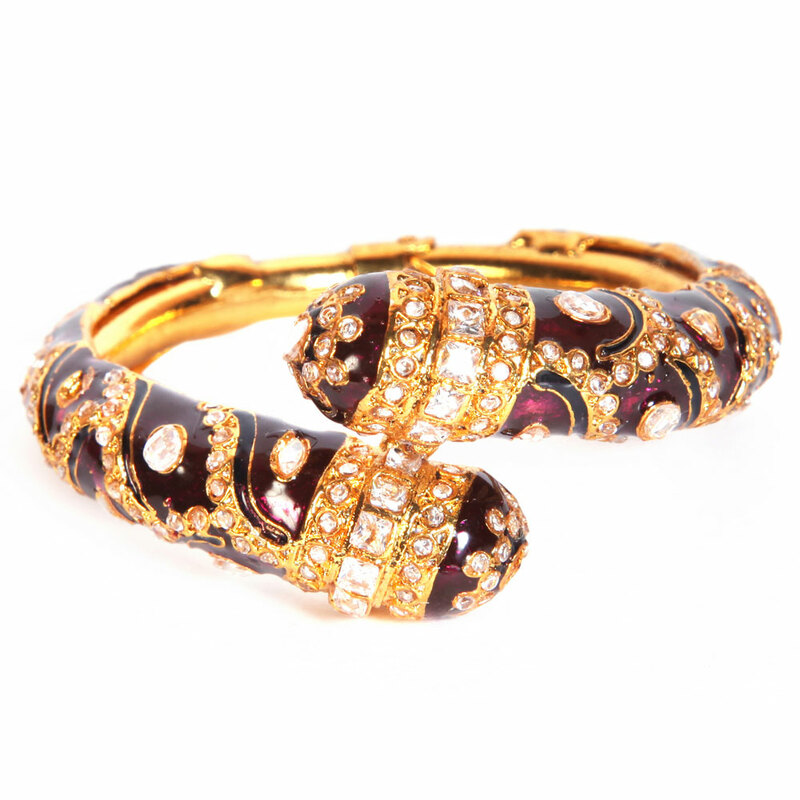 Adding to the beauty of this traditional Read More..artwork is the magnificent stonework that enhances the beauty of this party wear bangle manifold. The bangle is available only in a single standard size. Show Less..